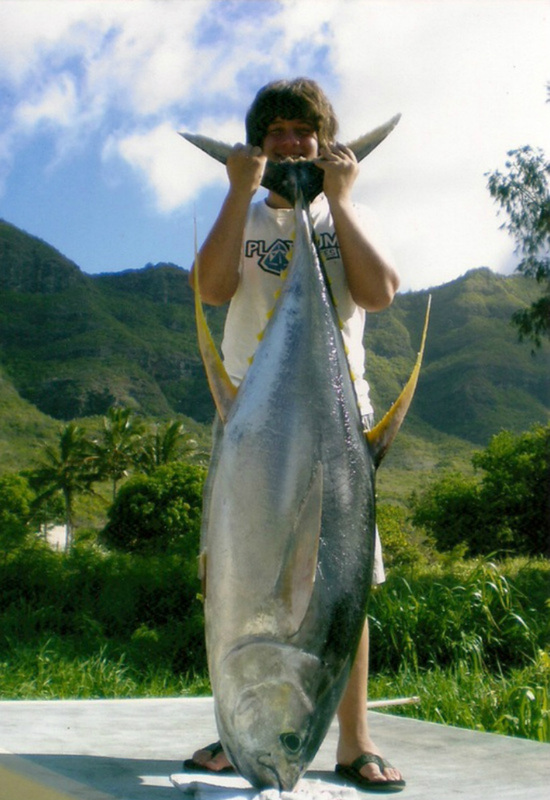 Fishing on the Island of Kauai is truly an experience of a lifetime! Not only is the garden Island abundant with lush beauty, but it’s Royal Coconut coast offers some of the best big game, blue water fishing in the world. Because the ocean bottom reaches extreme depths so quickly offshore, your island fishing adventure begins often as little as 15 minutes after leaving the dock, making your chances of catching a Ahi Tuna, Blue or Striped Marlin, Wahoo, Ono, Mahi Mahi, Spearfish and others a real possibility. Our 27 foot "Radon Boat" has been the standard for both commercial fisherman and divers alike for over 40 years. The Crew of the Emma Malia come with generations of fishing experience off the waters of Kauai and are absolutely committed to making your trip a memory that will last a lifetime.